Apple supplier Quanta Computer has begun ramping up production of the upcoming 12-inch MacBook Air ahead of a release during the first quarter of 2015, reports Digitimes. The company has stepped up its efforts to recruit more workers for its production efforts on the notebook, and is looking to bring in a total of 30,000 workers during the quarter to also help with the Apple Watch. Sources close to Quanta further note that the 12-inch MacBook Air will replace the existing 11-inch MacBook Air, with Apple choosing to keep the 13-inch MacBook Air. 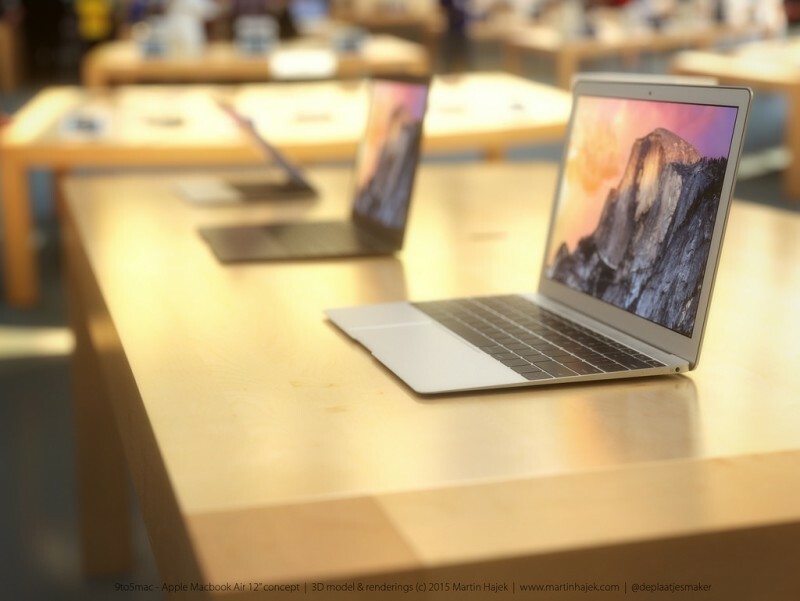 The next-generation MacBook Air is expected to feature a high-resolution Retina display and a new Broadwell Core M processor that will enable a thin, fanless design. Other reports have also claimed that the 12-inch MacBook Air will do away with nearly all of the ports found on Apple's current line of MacBook Airs and contain a headphone jack, a pair of microphones, and a USB Type-C port that may handle both connectivity and charging. This is the logical device for the anti-tablet crowd (hi). This is a nightstand computer, a coffee shop computer. An email, youtube, browsing computer. It's not for CAD renderings and editing movies. If you want to attach a bunch of accessories, this isn't that computer. The concept is ease of use portability, which doesn't entail dragging along your mouse and external hard drives and all your other gadgets. That's not what's going on here. Amazing how people are fine with no ports on an ipad, but give a slim notebook the same treatment and everyone loses their minds. Nah, the 2008 has more ports. I just bought a 2014 MacBook air so this must be true. and ramping down the battery life. Hope he rumours are wrong and we get an air pro. Battery life shouldn't suffer: look at the iPad Air 2. It's so thin you could fill one iPad Air 2 with Mac parts, another completely with battery, put them together and they're still thinner than the current MacBook air! The current design of the MacBook Airs were announced in 2010 and have had internal upgrades since. We've gone from the iPad 1 to the Air 2 in that time, to Apple has obviously learned a lot about making things thin. I took a look at your post history and couldn't find one post that wasn't cynical, trolling or was in any way helpful, constructive or informative. What do you get out of posting on this board? In any case I'm glad for the ignore function. You are a worthy addition to the list.